Whole30 changed my life. When I first began to see evidence of this possibility of change, evidence that things did not have to be the way they were, I felt like I had unearthed a real secret. Life, adulting, food selection, body stuff… it turns out that these things did not need to feel as difficult and stress inducing as my experience had been thus far. Whole30 let me in on the secret: humans can change. Whole30 was my catalyst for change in my relationship with food, my attitude, my habits, and my resilience (to name just a few!). Ever since discovering this big secret, I have felt that one aspect of my purpose in this life is to help others learn this secret. My purpose is to help others untap their sparkle. A huge part of my sparkle came from my wellness experiments with Whole30, so I am so pleased (and frankly, emotional, as this is a huge dream come true) to announce that I am now an official Whole30 certified coach! You can still complete a Whole30 whether you have a coach or not. The rules and resources stay consistent and are still available online (and oh there are so many fantastic resources!). If you feel that your experience would be more positive or you would feel more confident with a support system in place, I would love to work with you! In addition to one on one coaching, I will also be creating Whole30 group coaching opportunities! The 2018 #JanuaryWhole30 is going to be a real party! If you are interested in general wellness coaching, this does not mean that you are required to Whole30. You choose what tools you want to explore to Untap Your Sparkle. If you decide Whole30 is for you; that is wonderful! 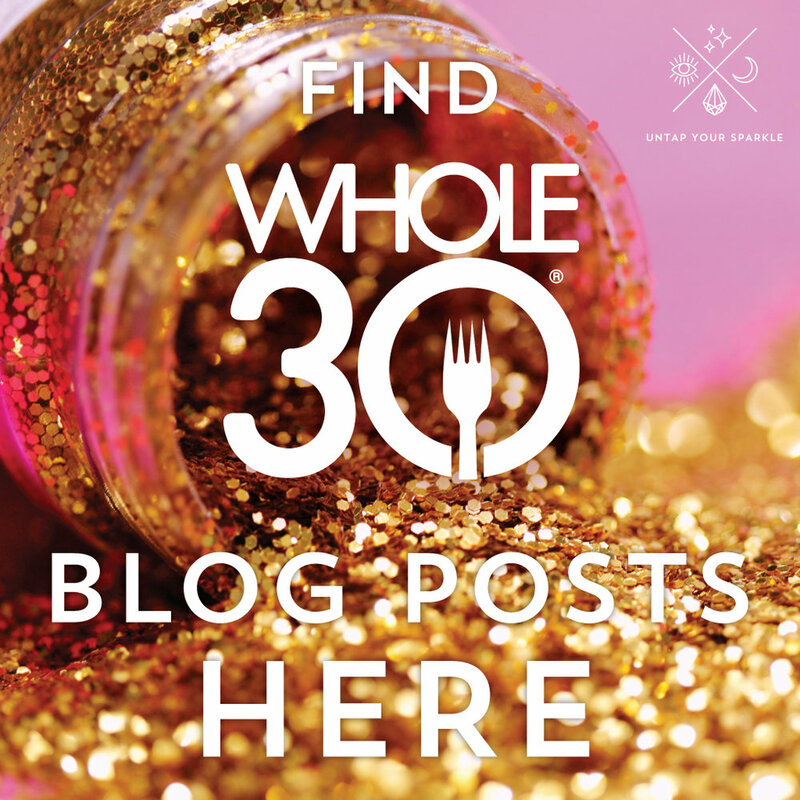 If you are not interested in Whole30 for now, that is totally cool, too. Remember, your sparkle is about you. Each Whole30 that I have completed has included so many newly discovered lessons, tips, and tools. I am so excited to share pro-tips from my experience so that you can explore your health, your habits, and truly find food freedom! If you are interested in connecting, as always, feel free to reach out to me at Mary@UntapYourSparkle.